The principles of recoil can be understood best by considering the forces which result from firing a cartridge in an elementar)* gun. 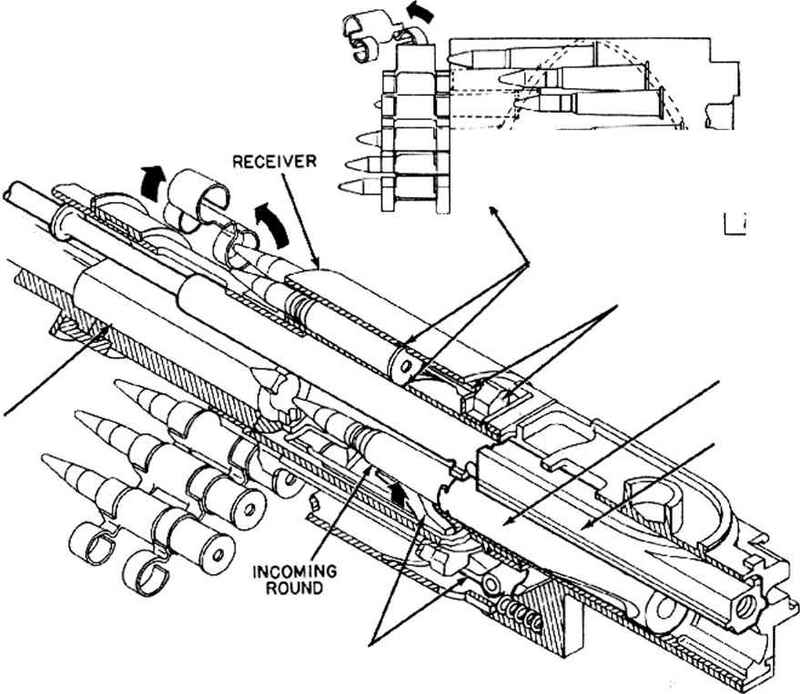 Such a gun (shown schematically in fig. 2-1) consists of a barrel having a chamber at its rear end for receiving the cartridge and a breech closure in the form of a bolt. The bolt is rigidly locked to the barrel after the cartridge is inserted, thus providing a firm support for the base of the cartridge ease so that the case will not be blown out of the chamber bv the explosion of the propellant charge.